Government lawyers are facing increased competition from the private sector. Private firms’ legal operations teams are becoming expert at leveraging new technologies and processes to streamline the delivery of their services. How can Government lawyers use technology to increase their operational efficiency? What new legal technologies are out there? Strategies to choose the best technologies. What are the risks in new technologies? Examples of innovation in private firms. The saying in Silicon Valley is that you need to ‘eat your own lunch’ before someone else does. Steve Jobs famously did this by introducing the iPhone, realising full well that it would cannibalize the sales of Apple’s flagship iPod. What can Government lawyers do to build their practices and to avoid losing non-mandated legal work to aggressive private firms? What is the scope for Government lawyers to build applications and partner with providers to develop technology for their clients? Some of the major firms provide great examples of leveraging new technologies and processes to streamline the delivery of their services. They have been experimenting for some years now and are understanding what works and what doesn’t. Using Corrs Chambers Westgarth as an example, that firm now has about a dozen applications to assist their clients (see examples attached). Their approach has been to partner with third parties to develop client solutions. They also developed custom applications to augment the vendor applications. Corrs has now moved to partnering with platform providers. One of those is with HighQ, one of the leading corporate extranet and collaboration platforms serving the legal and financial markets. HighQ offers integrations and developer tools that allow its products to be significantly customised. Corrs has been using HighQ (or Corrs Collaborate as they’ve badged it) as a platform on which to create applications that deal with specific issues identified by their clients. By overlaying the standard HighQ platform with custom data visualisation, mapping, data aggregation and document automation features, Corrs are now able to deliver their own applications to clients that increase efficiency and strip away complexity. These applications include their badged SCOUT and CorrsEdge. Other partnerships are with Elevate Services for Cael Verify, and with Canadian technology start-up Beagle in a joint venture called Beagle Asia Pacific to provide an artificial intelligence contract analysis tool. Corrs has now progressed to being a vendor to the wider market, providing products such as JustOCR, which addresses the high cost of data handling in litigation, and CaseFolio which solves the problem of how to provide document bundles in litigation and is sold via the iTunes app store. Another leading firm, Herbert Smith Freehills, is similarly advanced. They offer advanced eDiscovery and client data technology services, working with companies including Recommind and kCura on document review and analysis, including predictive coding. HSF has been working with Recommind to develop natural language searches that often fall into the camp loosely described as artificial intelligence. As have other top tier firms, HSF launched a permanent low-cost legal service team in Melbourne to compete against commoditised legal work providers. The team began with 65 employees including 50 fee earners performing document-intensive support tasks for the law firm globally, such as due diligence, claims assessment and review of legal documents. Other firms providing alternative staffing solutions include Corrs with Orbit and Minter Ellison with Flex. Gilbert Tobin has blazed a different trail, filing a patent for a verification tool for IPO prospectuses which it uses to prepare for major floats. It has also invested in LegalVision,a fully incorporated legal firm that runs entirely online, focusing on small to medium sized companies looking for fixed-fee, cost-effective, high-quality legal services. Norton Rose was an early entrant with their investment in LawPath, an online legal service provider. The lawyers of the near future will be much more productive than their predecessors thanks to numerous technological advances. They will be freed from the mundane tasks, and the successful lawyers will have strong relationships with their clients for whom they act as trusted advisers. 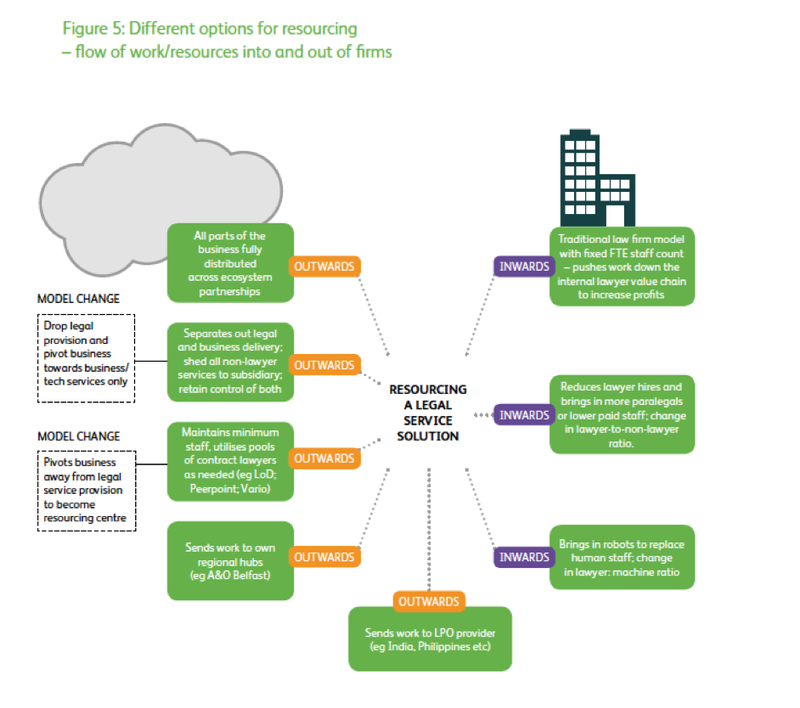 The UK Law Society published a report earlier this year ‘Capturing technological innovation in legal services: Better ways of working together’. Interviewees believed that the next wave of disruptive innovation will result in new ecosystems and linkages across industries which will transform how people work together. There is so much technology available, but its use is so patchy. 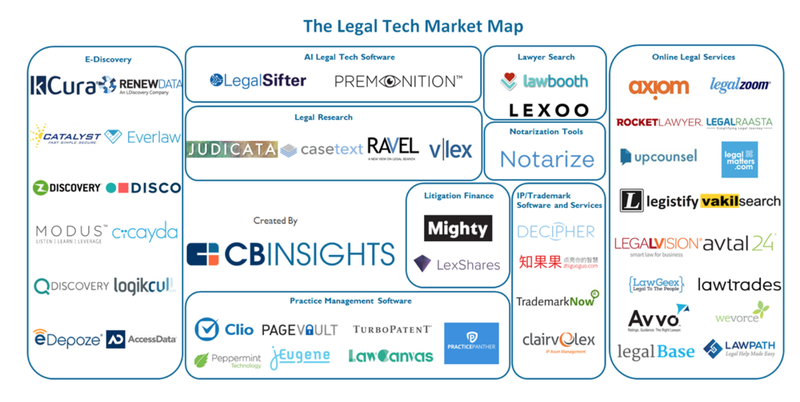 “Legal technologies… offer exciting possibilities for how legal processes might evolve or be reinvented for the future. But such technologies are still a relatively unknown and certainly unexplored landscape for large numbers of the profession; neither are these systems a fix for struggling business models and outdated processes. Instead the better approach comes from a close tracking of client needs and expectations, followed by identification of how technology can help a firm better serve these needs. A very wide variety of applications. High Q, Aderent and Elite are popular, but there are hundreds of other solutions. Capterra, see the reference below, provides a catalogue of tools. There are many applications and this is a well-developed area. It is one of the few areas where artificial intelligence is significant. Slaughter & May have invested in Luminance, which claims to be the leading AI platform for the legal industry. Ansarada is a well known Australian data room. Westlaw and Lexis-Nexis are the big ones, but there are now many others. For example RAVN and Kira. These tools enable smaller firms to compete on volume, speed and accuracy and negate the need to hire in additional human staff. Reports suggest a 40-80% increase in productivity. Apps like Avvo help people to find a lawyer online. A new tool was released in NSW recently, BarristerSELECT, which enables clients to select and engage barristers, but using the clerk system. The charging model is free to solicitors and $165 for the Chambers. The NSW Small Business Commission is shortly releasing an interactive application to guide disputants towards reaching a resolution. British Columbia also has an application ‘The Solution Explorer’ to assist clients resolve small claims and leasing/residential disputes. The Dutch try to resolve divorces issues with Rechtwijzer 2.0. Organisations such as Lawpath, backed by Norton Rose, helps lay people with customizable documents and fixed quotes from their lawyers. There is a whole range of specialist applications for narrow problem sets. These include child support apps that estimate maintenance costs, immigration apps which provide users with information about their rights, personal injury apps that store accident information, witness statements and doctor visits, legal fee calculators, audio instructions for filling out legal forms and debt and income apps to help organise debt information. CorrsEdge, backed by Corrs Chambers Westgarth, is an online service for entrepreneurs, especially startups, designed to provide them with high-quality legal support. There are a variety of online forms designed to assist the layperson. Many of these technologies are designed primarily as document assembly tools. Instead of online static court forms for individuals to download, print, and complete by hand, users can now use interactive guided interviews which walk the user through the process step-by-step via a user-friendly questionnaire interface. US examples include A2J Author and Legal Genie, while in UK, CourtNav offers a guided interface to help individuals complete divorce forms and Siaro offers an online platform for family lawyers that allows the lawyer to gather all relevant client information prior to initial consultation in divorce and separation cases. Often these systems encourage the user to accept the assistance of a lawyer to help to understand concepts and review their documents prior to submitting them. The terms artificial intelligence, or machine learning, are often mis-used, falsely applied by vendors to hype their offerings. The most sophisticated legal applications that do use AI are in e-discovery. Machine learning algorithms are designed to detect patterns in data and then apply these patterns to new data in order to automate particular tasks. This function is based on algorithms that can learn from data without relying on rules-based programming. The larger the dataset the machine learning algorithm can review, the more accurate it will become. Herbert Smith Freehill’s report on AI lists the following impacts for law firms. Reducing the need for large teams on some matters, leading to greater competition for higher-value work between global elite and boutique law firms. Herbert Smith Freehills Artificial intelligence: the client perspective 2017. Blockchain is still in its infancy, but many expect it to have a profound effect on society. Already, organisations like banks, and ASIC, are experimenting how to use it. Blockchain is a distributed ledger, or record. Every entry lives on many computers, meaning that an entry can’t be forged. Entries are kept forever. Blockchain can be used to create and keep any sort of record you can think of, including money, or Bitcoin records, energy trading records between households with solar panels, or for voting. Importantly, blockchain is not owned or managed by any one organisation, or bank or middleman. The application of technology has many consequences, not all of which could have been easily imagined once. As a result of collaboration technologies and cloud storage, working from home has become popular, widespread and actually an aid to productivity. According to Deloitte’s ‘The Digital Workplace Report: Transforming Your Business,’ 47% of organisations in Australia have employees working from home full-time today and 57% say they will have employees working from home full-time two years from now. Nearly half have employees working from home part of the time and 82% say they will have employees working from home part of the time two years from now. According to the report, working from home is a powerful attractor of talent, and employee retention is up 87%. It is truly liberating to work in a paperless office. It means that never again will we cart home all the papers we used to carry in a briefcase. Every document we need is available on the computer or the smart phone. The workplace is wherever we are. The liberators are the cloud and modern mobile devices. A number of firms have begun using contract lawyers, and have opened lower-cost service centres in cities such as Belfast, Manchester, Glasgow and Birmingham, shifting work out of London, or Sydney. At the global firm level, Allen & Overy is an example of a firm using its premium brand to resource a range of delivery models and businesses – from quality legal advice to online legal services through to contract lawyers. This business model is enabled by the cloud and collaboration tools. Data analytics, is a process of inspecting, cleansing, transforming, and modelling data with the goal of discovering useful information and insights. This involves identifying when a client engages with you and then maintaining their data, observing their interactions and the implications for your practice. The aim is to understand what motivates your clients. The growing importance of data analysis has been enabled by the growth of digital information, the availability of high speed data processing and cheap data storage. Technology can support process improvement to assist the lawyer moving from the billable hour to an alternative fee structure. The aim is to be more profitable for the law firm but cost the client less. Achieving this solution requires data. One data tool is Apperio, which claims to be a powerful smart-analytics dashboard that transforms the way corporate clients manage their legal relationships by providing timely visibility on spend and project status. It is aimed at giving businesses and law firms a better insight into their legal spending. The system tracks legal fees directly from law firms’ practice management systems. Moving data into the cloud has a dramatic effect on a business. Efficiency and productivity are improved, and costs are significantly reduced, maybe by one-third. One concern for government and big business used to be security, but there is now little reason for concern. Depending on the provider chosen, cyber security is maintained at the highest levels and documents can be stored within Australia. Collaboration solutions support people working together in teams, communities or networks. They help people to create, share, communicate and organise information. They improve the way workers connect with one another, find experts, brainstorm, find answers to questions, learn, transfer knowledge and make decisions. Slack, Facebook, Yammer, Skype for business, Trello trialled but dropped, Jira, intranet and Webex. In the past, collaboration meant a meeting, a phone call or a letter. But now, with modern digital tools, there is a vast array of options to collaborate much more productively for a range of benefits that weren’t available before. There is no formal definition of collaboration solutions. Collaboration solutions cover a spectrum of activity including communication- an unstructured interchange of information, conferencing – interactive work towards a shared goal, and coo-ordination – complex interdependent work towards a shared goal. The available solutions are growing rapidly, both for coordination software solutions to manage complex or big interdependent tasks, and for very specific solutions to small problems. Technology should be seen as enabling lawyers to have stronger relationships with their clients. Technology means freedom from the simple and mundane. Technology enables lawyers to understand the client’s needs better and help them. Lawyers don’t want to be clerks and pen pushers, they want to be valued strategic advisers to their clients. Technology frees lawyers up to be strategic. Progressive law firms, the ones that will survive and prosper, will work out how to use technology to automate tasks, drastically lower their prices and keep giving personalized advice to their clients. Presumably, because productivity will be so much higher, fewer lawyers will be needed in our society. Only the best and brightest, and the ones who have learning agility, will survive and grow. Lawyers are very good at making connections and acting as trusted advisors and counsellors. The good ones have a natural ability and they need to emphasis this part of their skill sets rather than the concentrating on tasks that can be handled by a piece of technology.